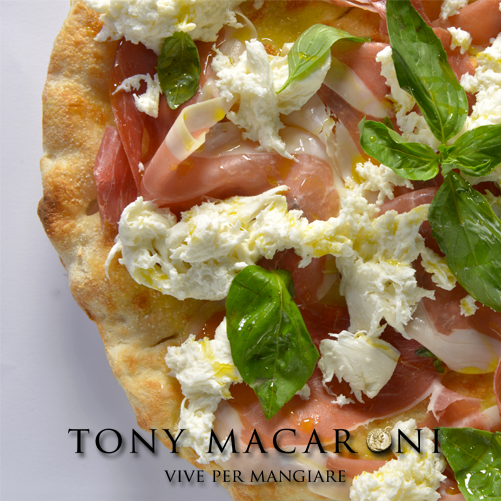 Our cosy restaurant holds a special place in Tony Macaroni’s heart as it was the first one he opened back in 2007. 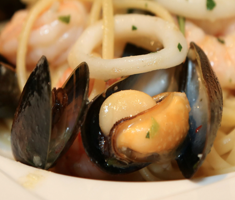 Since then, its amazing atmosphere and fabulous food have made it extremely popular with our army of regular customers – so book early to guarantee a table! 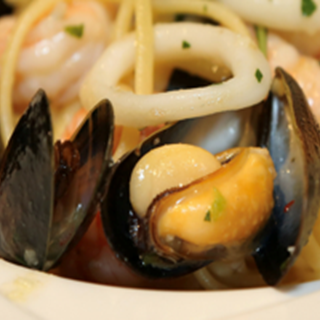 Dine in style on our mezzanine floor as you choose from the full a la carte menu with complementary wine list. 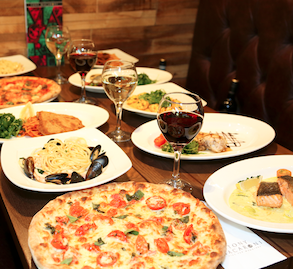 Alternatively, just pop in for a tasty treat from our takeaway menu – we have something for everyone. 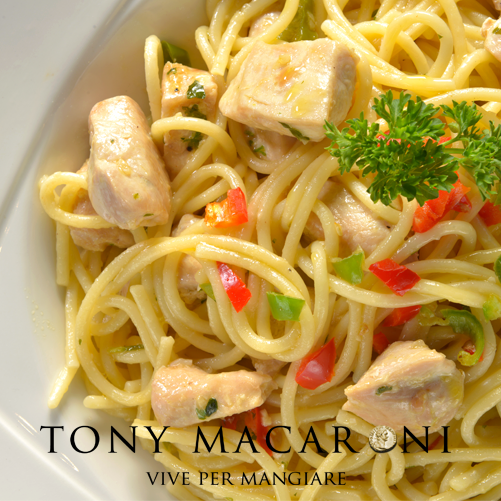 Our friendly and welcoming staff will make sure every meal with Tony Macaroni is one to remember! Staff were all fab, very helpful and friendly. special was poor. no proper veg just a handful of rocket. the pina colada was far too creamy to the point I felt like I was drinking a pint of fresh cream, couldn't taste pineapple or the rum. overall the service was fab but the special of chicken and black pudding was mediocre. kids meals were excellent value. would return again but would have to rethink menu choices. Lovely food and great service from all the staff. Special mention to the big Ozzy waiter (sorry can't remember his name). Really good experience, staff very attentive. Highly recommended. Lovely meal and friendly staff. As always an excellent meal, staff very friendly and helpful, no hesitation in visiting again . I don't have enough time. See review on trip advisor. Quite awful considering it was mother's day and you knew how many people would be there. Bad service, cold coffee and a bar that hadn't been cleared in days. Really really awful experience. It was a busy time 5pm on mother’s day, the staff were doing their best, service was a touch slow,  I can’t help but feel they were a couple of staff members short. The staff on duty were doing their very best, good food and lovely setting. Great restaurant!!! Fantastic food, very generous portions! As always, great food and great service. Very good. Busy. Friendly staff.... and a free drink. Thank you! The service was fast and price would have been OK, if the meal was edible, but my wife's meal, Pllo Ai Funghi, wasn't. It was chicken in a mushroom sauce which was loaded with salt. We returned it and the head waiter came back and said the stock for the sauce had been boiled down too much and left it salty. He offered replacement, but by this time my meal was almost finished. He then said OK we won't charge you for this dish.Not much conciliation. Another disappointing experience and although this is within walking distance for us we won't be back soon. Superb service & lovely food. From the minute we walked in and were ignored by 3 members of staff behind the desk it didn’t bode well! 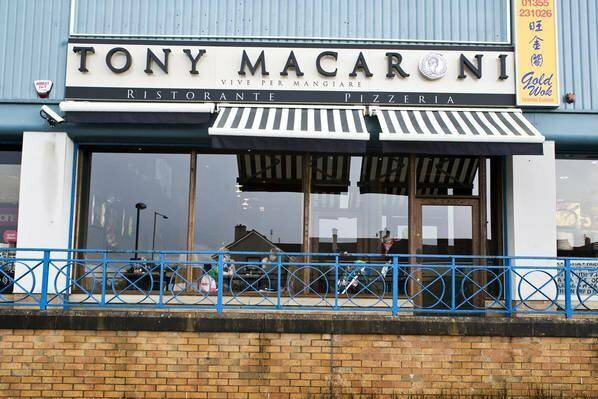 Food was lovely but services very poor, a shame because other Tony Macs are great but EK lets the brand down! On the day we waited over an hour and a half and we still hadn't been served our food. After an hour we were informed that the fish my wife ordered wasn't available then it took another 20 minutes or so before we were told that NO fish was available at all. When we questioned this and made it clear that we were extremely unhappy with the service up to that point, we were informed by a member of staff that the head chef had walked out. My children, 8 and 3 years old were also becoming agitated at the length of time we waited so after being seated at 5.30, it was at 7.15 that we'd had enough and walked out. We witnessed 2 other tables who'd had enough of waiting too. 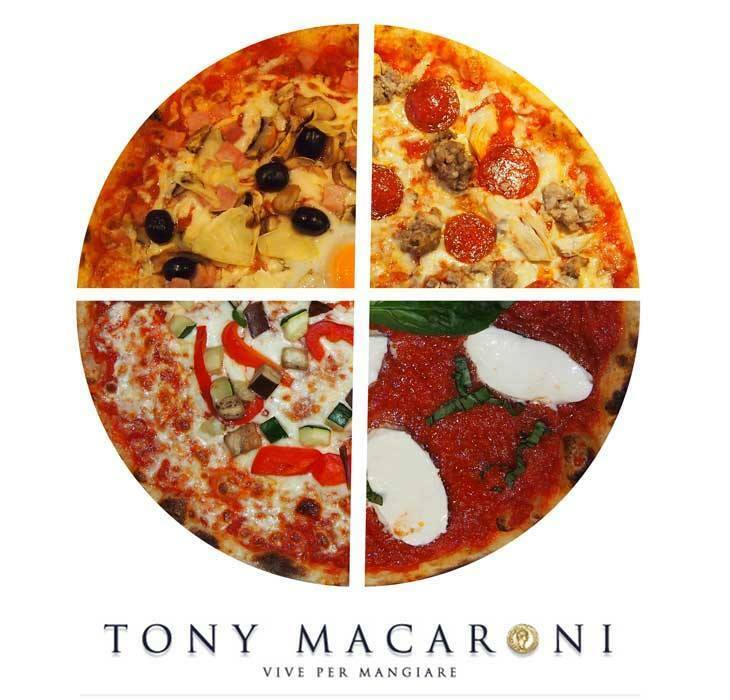 We normally enjoyed Tony Mac and have eaten in a few of your establishments but this was a step too far. If I don't receive a satisfactory response I'll be sure to leave appropriate feedback on trip advisor and other websites. I'm also a taxi driver in the East Kilbride area and have already made it clear to many where my opinion of yourselves currently is. Seems as if the current venue is too big for the staff to cope. We've eaten there 2 or 3 times previous and always found it to be rather cold inside too which doesn't make for a comfortable meal. I look forward to your reply. Very welcoming on arrival but the service was extremely slow. Must have been over 1hr between main and desert. The deserts were wrong - hot fudge brownie sundaes that were cold with cold fudge sauce. None of the 4 sundaes matched the description on the menu either.